Last Updated: February 21, 2018 By Katie 49 Comments -- Paid Promotion. Disclosure policy here. 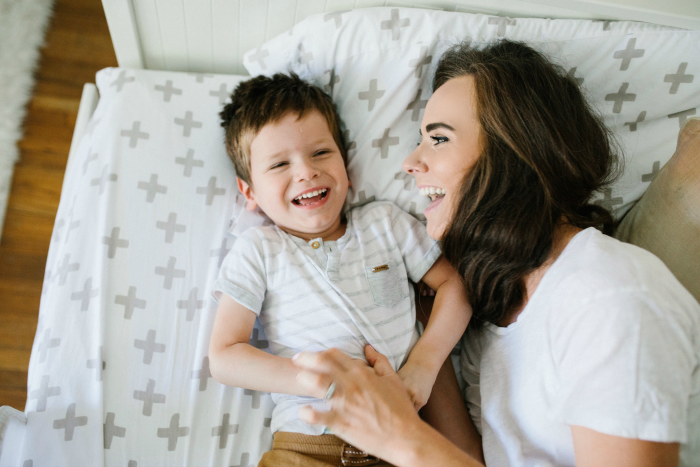 My son- my sweet, beautiful, perfect, wild little toddler- has autism. He got the diagnosis exactly a year ago today, but we knew much earlier than that. 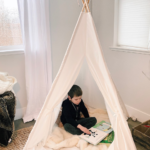 He wasn’t talking, pointing, playing with toys “properly,” he had fleeting eye contact, was walking on his toes, all of the little red flags that kept piling up until we heard those words. And you know, the strangest part is that when we heard his diagnosis, we instantly felt both grief and relief at the same time. Grief because we had to let go of this idea that we had of who our son was and is going to be, and relief because a diagnosis finally meant that we could start getting the services he needed! It was and continues to be a strange mix of emotions. It’s been a hard road already, and we are only in the beginning of this journey. The past year has been full of ups and downs for us. Sometimes it feels like our whole lives revolve around therapy sessions- Speech Therapy, ABA, Occupational Therapy, ESDM parent training… Some days I cry myself to sleep wanting this to be over, wanting a magical “cure” and wanting Sam to just have a “normal” childhood. But through it all, we’ve made sure that the number one priority is HIM, and everything we do is for him and his sister. Everything. And he is such a happy boy! In just one year, we’ve seen so many improvements- his eye contact, attention span, following directions, joint attention, sharing smiles, the list goes on. If I’ve learned anything from this, I’ve learned to celebrate even the smallest of victories- because victories they are! It’s given me a new appreciation for the little things. What a blessing that is. I’ll be sharing more bits and pieces of our experiences so far, I have so much to say, and honestly just sharing this feels like a huge weight has been lifted from my shoulders. I feel like I can breathe a little easier now, like I’m no longer hiding anything. And yes, he has autism, but he is not defined by it. He is so much more- this is just one part of what makes him, him. I pray that when you see him, you see a sweet, adorable, loving, wonderful and special little boy. Because that is exactly what he is. My Sam. My baby. My little love. And he always will be. Oh Katie ❤️ I had a feeling a while back when you said that things were “rough” and you had something you wanted to tell us…but couldn’t just yet, that it would be something about one of your beautiful children. That’s exactly the way I see them both. Beautiful. Just the way they are. One of my good friends also has a son who is autistic. I’ve learned a lot from her and her strength as a mother since his diagnosis. Have you reached out to any parent support groups? I’ve heard there are many great ones online, even. Thank you for sharing your very personal reality with us and for always keeping it real. Hugs to you and your amazing family. Oh, Sarah, I’m so sorry to hear about your sweet baby girl. You are so so strong!!! And so is she! :) We do love our therapists, and are so grateful for all of the support that we have! Thank you for your sweet comment, Brittany. They really are beautiful- I see them that way too. :) And I have a few friends who “know” and are in a similar journey as me, it’s definitely so nice to have those people in my life! Oh goodness I am so grateful to you for opening up, for sharing. My eyes are full of tears because I can’t imagine the weight of carrying that for so long. Sam is the luckiest little boy to have you two and his sister along for the journey, any you are all blessed to have the opportunity to learn from him. Sending prayers and so much light to your family – know that you’re not alone! Thank you so much, Haley. You’re so sweet! Thank you for this honest and real post! My brother has autism. Early intervention is so helpful and he will continue to learn and grow in his own awesome way. You are his protector, teacher and mentor and he is so lucky to have a strong mom like you to go to bat for him! You should also seek support for yourself and your family. If i’m being honest, autism is hard on the whole family, BUT I wouldn’t trade my relationship with my brother for the world. He brings so much joy to our lives and continues to surprise me daily. Thanks again for your honesty and don’t worry about being real with your readers. If I’M being honest, posts like these that are honest and beautifully well-written interest me more than fashion posts anyway. Thanks for trusting your readers enough to share. Hugs! YES. Everything you said. Autism is absolutely hard on the whole family. It makes me so happy to hear that you have a great relationship with your brother. Seriously, that’s one of my biggest prayers is for Sam and Sophie to have something special. It warms my heart to hear your story. Thank you for sharing! Oh Katie! 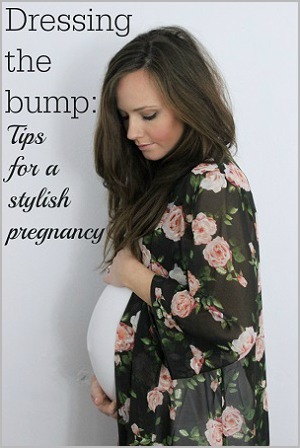 I know we obviously don’t know each other, but I’ve been following your blog since we were both pregnant with our boys! they’re only about a month apart. 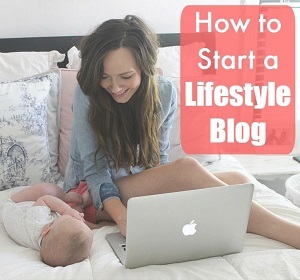 Reading your blog has been so helpful to me, and I feel like we could be great friends! I can’t imagine the weight of carrying this and feeling just not read to share it yet. Your are an amazing strong capable perfect mother for your amazing beautiful boy, Sam. You are everything he needs or God wouldn’t have chosen you guys for him! I can tell just you seeing pictures and videos of him that he is the sweetest little soul, I bet him and my Landon would be buddies for sure! All the prayers coming your way! I hope you can feel the love and support coming from all over the world! Oh Katie, I know I don’t know you personally, but I commend you for being so open and honest. I can’t imagine how hard it is to be vulnerable. But I can tell you that as a loyal reader since your pregnancy with that beautiful soul Sam, we appreciate it. I rejoice in your joy and love following along in your story. This is part of your story. It may not be exactly what you pictured, but let’s face it- life never is. I am so glad that you are able to get the resources you need for little Sam and I guarantee you, it will make a world of difference. I can’t imagine the weight you’ve been carrying. My brother also is on the Autistic spectrum and at times it’s been a whirlwind, but I do know that his mother loves him something fierce and he makes strides in different parts of his life everyday! Love what you said- life never is what you’ve imagined it to be. THANK YOU for your words and for following along for so long! It means the world to me! Katie, first of all so amazing of you to share this. It will absolutely help so many. it’s s hard to be open in this platform and I applaud you. You guys are doing an amazing job! Thank you so much, Neely!! My nephew is turning 7 next month. He was diagnosed with Autism a few weeks ago. We always knew things were different, he plays differently, he gets aggressive, and his speech started very late. My sister was in denial and it took our whole family (and others around) to get involved to get the help he needs. 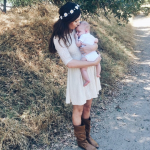 It is a hard reality but you are such an amazing mom and strong person, I have no doubt Sam will have the best life. You were chosen as his mom for a reason ???? Oh I’m so glad that he will be getting the services he needs to thrive!!! I pray they see great progress. :) Thank you for your sweet words! Thanks so much, Kate!! You’re always the sweetest. My little brotherwqs officially diagnosed with Aspergers and dyspraxia about 20 years ago. It is hard on the whole family. There’s going to be ups and downs and you’ll unfortunately encounter people who won’t be able to see Sam for the beautiful soul he is. My family has relatives that still don’t understand what Daniel has despite knowing him all his life. But you’ll also encounter really amazing parents who are stronger than words allow to express. I have several friends who all have also grown up with siblings that are autistic; we’ve agreed it’s a different way to grow up. But I wouldn’t trade Daniel for the world – when I’m down just calling and hearing his voice (he says our last name like he’s going to the bathroom) always makes me laugh. He’s the kid that saved his very first time shaving for when I came home from college and I can always get hugs from him anytime.Seven years of college and 20 failed drivers license tests later, he passed his test and graduated. I was the very first one he wanted to drive with after he got his diploma. Over the years, I’ve definitely become more appreciative what I have. And it’s even more amazing to see what he’s been able to do. YES, they are SO sweet and so loving and so so strong!! :) YES, Sam’s verse since he was little is Jeremiah 29:11- God has big plans for my boy, I know it. Thank you for your sweet words! Katie, I know we don’t know each other and I just found your blog recently, but this post is truly inspirational. What a strong woman you are, my goodness. As others have said – Sam is incredibly lucky to have you, Zach, and Sophie as his people. How could he not thrive in life with your family of steel raising him up? I hope your day is filled with feelings of relief, hope, and the love of a million strangers. Aw thank you so much Carrie! You are so sweet. Your words have me in tears. YES, amen, he will be able to do anything he wants to do!!! I believe in my boy so much. Thanks for your sweet words. This was so touching to read. All I could think was how lucky Sam is to have you as him mama and the amazing mind set that you have. In all that you do to support him, feel free to call on me for support for you! After teaching many amazing students with autism I know that it takes a village. Thank you so much for sharing. Thank you for being so honest and raw. 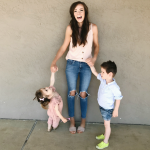 You are such a strong mama and the love you have for your children shows so fiercely. I have been praying for you this past year since you first mentioned going through something , and will continue to pray. Stay encouraged, your not alone. Thank you so much, Daphne! You are so sweet! Thank you Kaila!! Your words are life-giving!! Hi Katie, I was also very inspired by your post! I have been a middle school teacher for eight years and have taught many students with autism, each unique and wonderful in their own way. Many I remember with such a fondness and love, mainly for the bravery and strength they exhibited despite challenges they faced. I look forward to reading more about your beautiful little family and the adventures you share! Oh, Jamie, you’re making me cry over here! I love how you put that- “the bravery and strength they exhibit despite challenges they face” YES!!!! So incredible!! You seem like such a great mom to Sam, getting him all of the services, and Sam seems like such a sweet boy. I hope sharing this post makes you feel a little better. It has, thank you! And all of the love and support has been incredible, too! I can’t even imagine what you are going through. Parenting is so hard and I’m sure it’s ten times harder when you find out something like that. Your boy seems like such a sweetheart and he is going to go places! I’ll be praying for your family. He is the biggest sweetheart!! Thanks, Bridget! Sam is such a lucky and blessed little boy to have you both as his parents. I personally don’t know much about raising a child with autism, but I do know what is feels like to have a child with a condition they will deal with the rest of their life and to not know what that may look like for them in the future. It’s scary. Sometimes it makes me sad for my daughter, but then I remember that she is ALIVE and she has and will have a beautiful life that we get to share with her. Our kids are hand picked by God for US. They couldn’t be more perfect for us. Sam is perfect. It’s so scary, but I guess the future always is, regardless of circumstances. Thank you for your sweet words and I’m praying for your sweet girl, too. 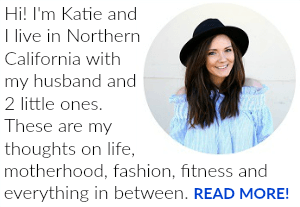 I am new to your blog – I think I found it by looking for Nordstrom sale stuff a couple months ago. Anyway, I commented on your fb page, but wanted to add here too – I also have a 3.5 year old boy (closer to 4 actually, how did that happen?!) with autism. And what I’ve noticed is the total lack of blogs out there where the blogger has a child on the spectrum or with some sort of special needs but also has what seems to be a normal life. 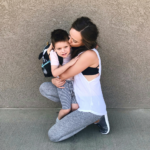 Because I feel like I have that – yes, my child has a million and one therapies and various issues that make my life not so typical, but I’m not autism mom all the time. I also like clothes and heath stuff and things like that. What I’m getting at, is that I hope you continue to write about Sam and what you’re going through as a family as you navigate what his diagnosis means as he grows, but I like the juxtaposition of autism life with nordstrom sale life. Because it’s all life, you know? Anyway, that was a very long-winded way of saying that I hope you will write about Sam and his journey here and I also like seeing your clothes. Lol. *healthy living stuff not heath stuff. I’m not going to lie, the journey that you and your family are now on is and can be very tough and heartbreaking at times but you will find strength you never knew you had and then one day out of the blue Sam will do something that may be inconsequential to most people but will be wonderful and amazing to you. Brandon will be 20 next year. He is just starting his new journey out in the world with finishing school and now part time work. So something new for all of us…again. Life is never dull with our kids. At the moment it’s teenage city in our house and I have two boys both trying to find their feet in the world and heading down two very different paths. I couldn’t be any prouder. I truly believe that Andy and I have been blessed in this life, autistic child or not. I love BJ’s cheeky grin and his crazy sense of humor. I love that he will give you a hug out of nowhere and say “I love you mum”, because when he was little I never thought he would say those words. I love that although he fights with his brother he also considers him the most important person in the world and Cam is the first person he will ask for when he walks in the door. I love that in the car he is my back seat driver and always tells me to be careful… One thing I have learned in this life is it’s never what you expect it will be and although you might be thrown a few curve balls you take one day at a time and roll with the punches. Our story isn’t finished yet but it’s been one hell of a ride so far and I wouldn’t have missed it, bad bits and all, for the world. Oh, Donna, thank you so much for sharing your story!! It gives me so much hope for our future!!! Amazing that he is working! What a dream! I absolutely love your advice, too. You’re right: you just have to roll with the punches and take things one day at a time. Love love love everything you said. Makes me emotional!! So sweet. Katie, you have a beautiful soul and it shows through everything you write. Your love for your baby shines through very brightly. Amazing mom. Thank God for amazing moms like you because your little guy will always have the strongest support and all the love he needs. God bless you and your family. Thank you SO much for sharing. Thank you so so much for your sweet comment!!! You just made me cry. So sweet! Hey Katie! I feel like I know you. I started following your blog when you had just announced your pregnancy with Sam and I was a few months away from having my first child. We became mothers around the same time and I connected with your blog. Then we both had girls a few months apart – both named Sophie. I have to tell you that being open on a blog is so difficult. I find it to be the hardest thing especially when it comes to my children. I know how difficult this must have been to share with the world, but you will be stronger and better for it. Your precious Sam is absolutely perfect just the way God made him and I have no doubt that our Lord has big plans for him! You are an amazing mother. 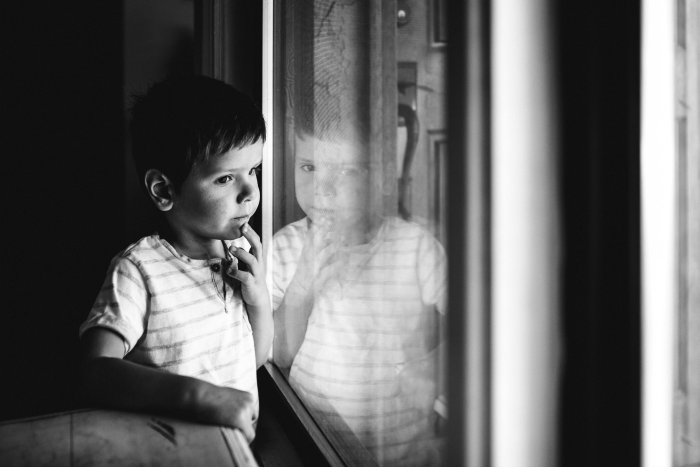 Your love for your kids shines so brightly through your photos and beautifully written words. I am praying for you guys and your sweet boy! Oh, Logan, thank you for your sweet words- always!!! And for sticking around for so long- it means the world to me!